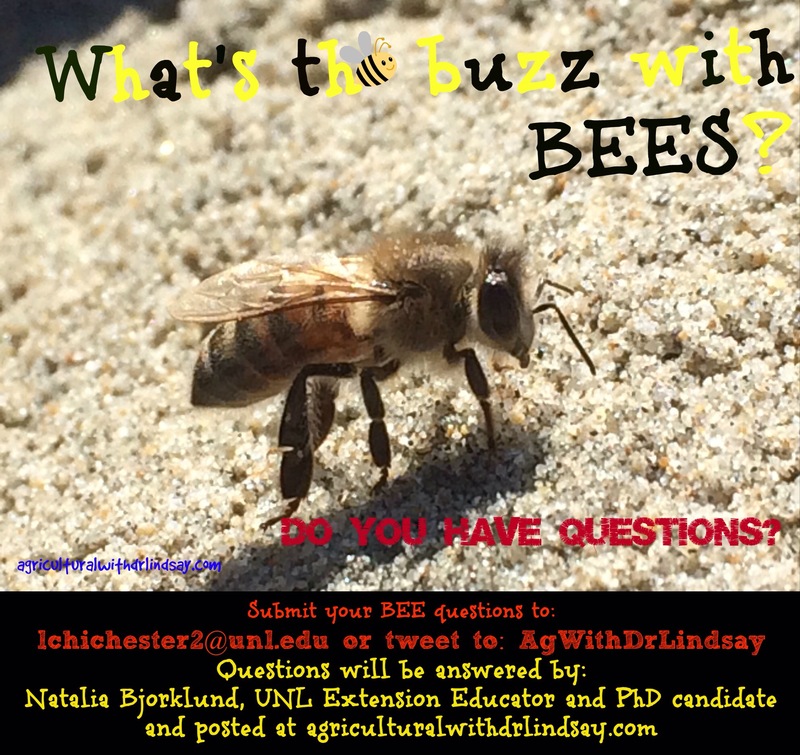 What’s all the buzz with BEES?… What do you want to know about BEES? My colleague and friend, Natalia Bjorklund, UNL Extension Educator and PHD candidate and I are teaming up for a fun project. We are starting a video series answering your questions about BEES! She knows tons of information about BEES, and her PhD is about them too! We want to know what you want to know about BEES. Yes, that is right, submit any questions you have about BEES to me. All of my contact information is listed on the photo or below it.